Here’s a little something for the ladies to enjoy. 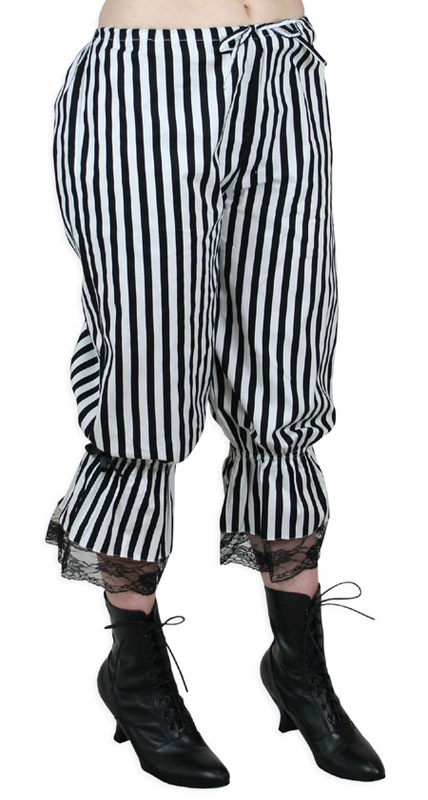 Create quite a scandalous stir in our Victorian Striped Bloomers, an eye-popping pair of bifurcated bottoms. Named after the one and only Mrs. Amelia Bloomer, a reformist for rational dress, these comfortable knickers are sensible, hygienic, and fashionably forward-thinking. Extra comfortable striped cotton bloomers that can be worn alone or under a skirt. Modesty a la mode!